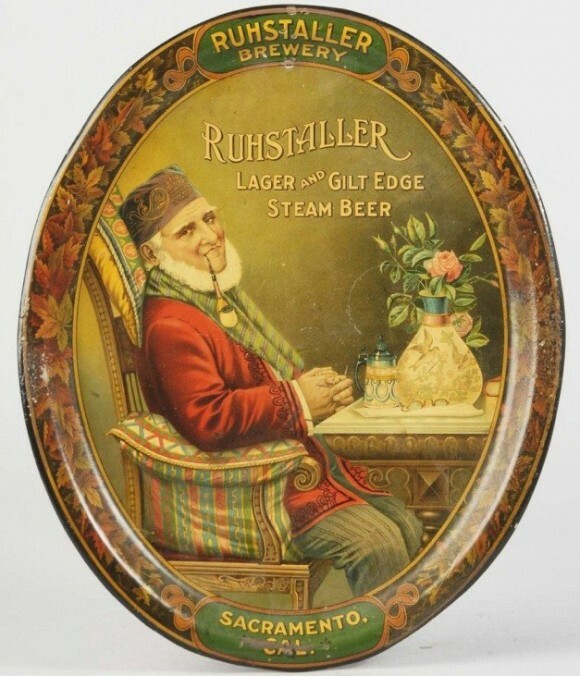 Serving Tray for Ruhstaller’s Lager and Gilt Edge Steam Beer from The Ruhstaller Brewery out of Sacramento, California. The center shows an elderly gentleman relaxing in his chair next to a table. He’s smoking from a pipe and enjoying a mug of the company’s brew.